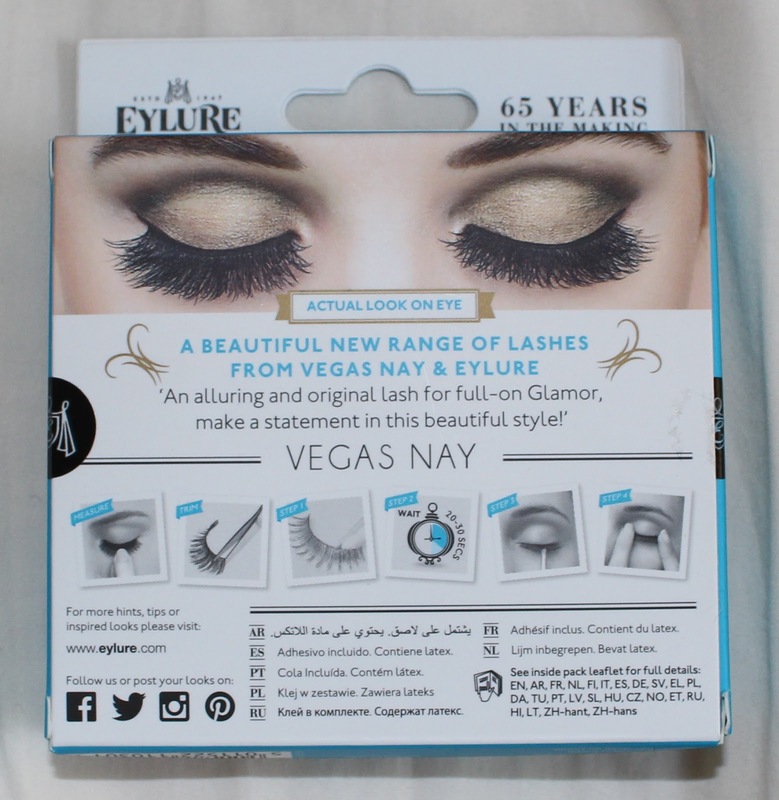 Recently, I saw that Eylure released a new series of lashes in collaboration with Vegas Nay, a makeup artist most popular on Instagram (5M+ followers), and one particular pair caught my eye. 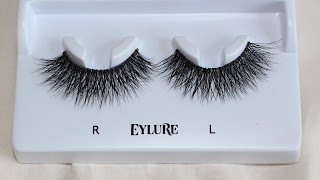 My favorite lashes of all time are the style ala Koko Lashes Koko, House of Lashes Pixie Luxe, etc and the style "Grand Glamor" seemed very similar to this style of lash. 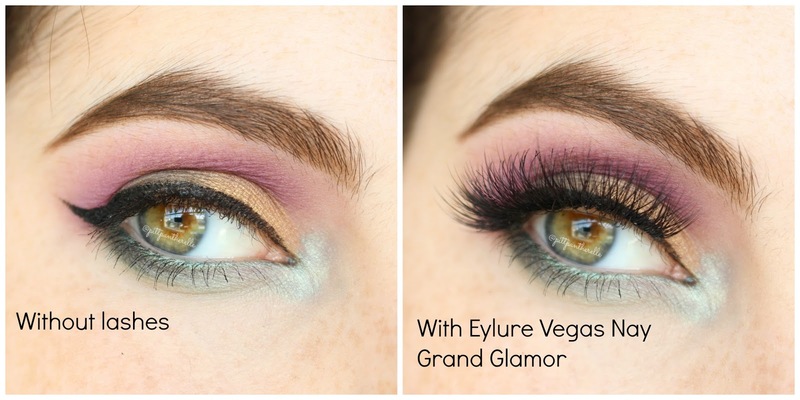 I bought a couple of pairs of Grand Glamor and today I will be reviewing them for you! The lashes are contained in pretty bulky packaging with a picture of the makeup artist on the front and a clear window to see the lashes. 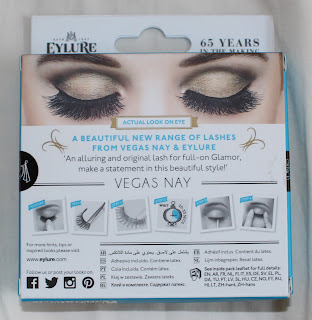 On the back of the box, there are pictures and instructions on how to apply false lashes. In the box, you get the lashes, which are glued on the corners to hold them in place, lash glue, and a little instruction pamphlet that has the instructions in other languages. The sides have stickers keeping them closed and to also indicate if someone has tampered with the box. 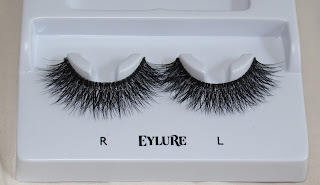 I think that Eylure could of majorly downsized with the size of the packaging because they could of kept the glue and pamphlet under the lash tray. The size of the packaging makes it a lot harder to travel with or requires you to transfer the lashes to another container. Lashes post-trimming. About a 1/2 cm was cut off each lash. These lashes were easy to apply with House of Lashes lash glue. These lightweight lashes have a medium thickness band that needs a bit of wiggling/manipulating the band to make it more flexible. I waited around 30 seconds before I applied the lashes (using House of Lashes lash glue) and they were easy to move around before I was satisfied with the placement. Its nice that they include glue with the lashes but the glue is not that good. I have attempted to glue the lashes with the provided glue and it takes a long time to get tacky (~1-2 min) and dry. This will make the process of applying the lashes and doing your makeup even longer. I also find that since it takes such a long time to get tacky, it makes it more difficult to apply these lashes. Another thing I found is that the second top layer of lash fibers makes it a bit harder to apply these lashes and perfect the look. This layer curves quite a bit. The layer gets in the way while applying the lashes and makes it hard to do anything with the look (i.e. cover the lash band with liner, etc) once the lashes are glued in place. These lashes were comfortable during wear time and I wore them for about 5-8 hours each use. They felt somewhat noticeable and heavy during wear but nothing that was too bothersome. None of the sides lifted during wear and the lashes came off easily with oil-free makeup remover. None of the hairs were bent or altered in any way after three uses, and they withstood my abuse. They look practically the same as the first day I used them. 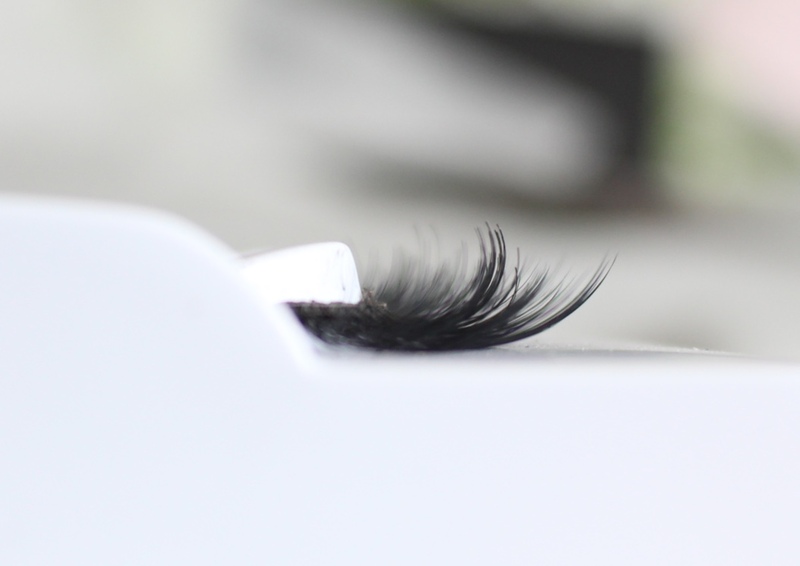 The quality of the lash fibers were a mixed quality. The bottom layer of lashes were great quality human hair while the top layer was not as good quality. This top layer had a more blunt cut to it while while the bottom layer had a nice, tapered ending (see the above picture). The bottom layer hairs are of slightly better quality to Ardell lash hairs and the top layer is about the same quality of Ardell/Koko Lashes Ariel. 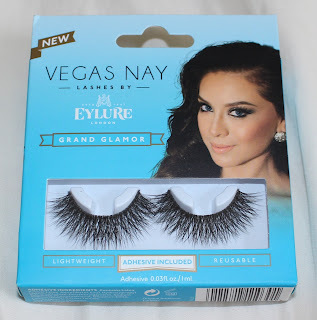 I got these for $7.99 retail price and I think for the price, these lashes are expensive for what you get. Maybe. I love the wispiness to these lashes. They are harder to apply and turn me off to use the product. There are no direct dupes to this product. However, Koko Lashes Koko and House of Lashes Pixie Luxe are similar to this style of lash. 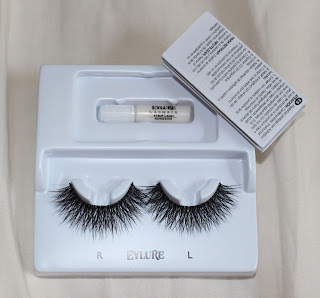 If you wish to buy these lashes, the can be found at Target and Ulta. If you plan on buying more than one style of Eylure, you can often get them BOGO and use a coupon at Ulta!